Help us stock the Nook. 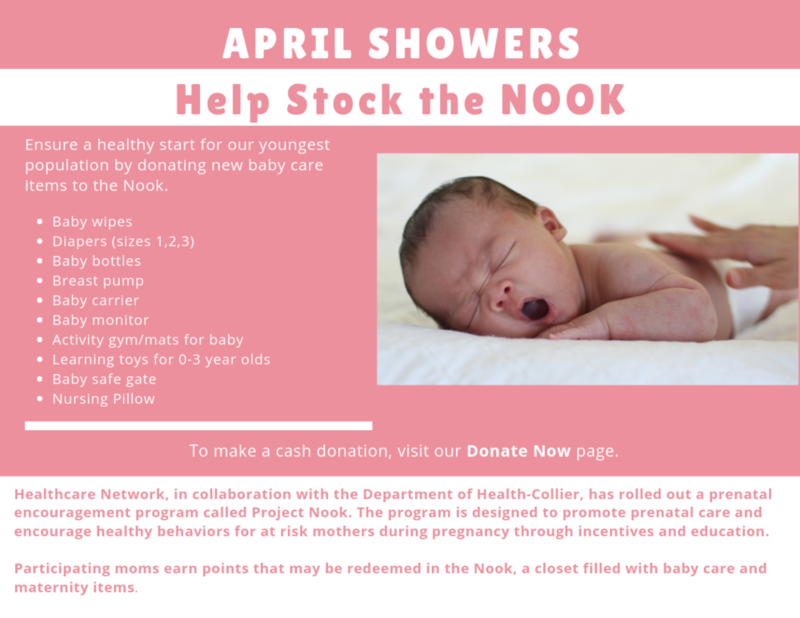 During the month of April, we will be accepting new baby care donations at the below locations. Additionally, if you wish to make a cash donation, please visit our Donate Now page.